Shri Amarnathji Yatra-2010 - New Initiatives to facilitate Yatra Pilgrims. Srinagar (Kashmir), June 9 - Chief Executive Officer of the Shri Amarnathji Shrine Board (SASB) said that several new initiatives have been taken this year for bringing further improvement in the Shri Amarnathji Yatra management. These include increasing the number of Registration Counters of the J&K Bank to 121 this year, as against 103 last year, for further facilitating the registration of pilgrims for the Shri Amarnathji Yatra; provision of free of charge Accident Insurance Cover of Rs. one lakh for every Shri Amarnathji Yatri who has a Yatra Permit and the entire expenditure towards the insurance premium is being borne by the Board. In Yatra 2009, a Yatri seeking an accident insurance cover was required to pay Rs. 24 at the time of registration for the purpose. Further, he stated that the Shri Amarnathji Shrine Board, with the support from the State Government, has also completed the required formalities to provide similar Accidental Insurance Cover to all the registered labourers as also to the pony owners in case their pony is involved in an accidental death. He said that from this year, Helicopter services would be available for the Shri Amarnathji Yatris, who wish to avail these, on both the Baltal-Panjtarni-Baltal and the Pahalgam-Panjtarni-Pahalgam routes. He added that the helicopter fares this year are also substantially lower as compared to those in Shri Amarnathji Yatra 2009. The Board has allotted special quotas of helicopter bookings for the Tour and Travel Associations of Kashmir and Jammu Divisions, in an equitable manner, with a view to support their efforts to provide the maximum possible facilities to the pilgrims, and thus also promote tourism. Special emphasis being laid by the Board on the preservation of the ecology and environment of the Yatra area. A detailed plan has been drawn up under expert guidance to maintain cleanliness at the Base Camps in Baltal and Nunwan and enroute the Holy Cave. It has been planned to launch a concerted campaign to effectively prohibit the use of plastic bags/materials. Chief Executive Officer of the Shri Amarnathji Shrine Board said that shredders are being installed at both the Base Camps for shredding all plastic materials collected by workers engaged by the Board. In addition, well-planned arrangements are being implemented on the ground for the treatment of sewage wastes on scientific lines. Shri Amarnathji Yatra Registration, which commenced on 5th June 2010 has been progressing well and, so far, in the last four days, more than 50,000 persons have registered for the Yatra. In the meanwhile a meeting of all Wardens of Civil Defence Town Jammu was held here today under the chairmanship of Dy. SP, Deputy Controller Civil Defense, Jammu, to review the arrangements for Shri Amarnathji Yatra duty - 2010. The wardens have been informed that the Civil Defense wardens and CD volunteers will be deployed at Railway Station, Bus Stand, Airport and Shri Amarnathji Yatri Bhawan Bhagwati Nagar, Jammu. 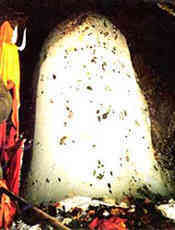 Click here to read more information on Shri Amarnath Yatra. 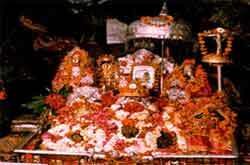 Navratra Festival 2010 - Yatra to the Shrine of Mata Vaishno Deviji undertaken during the Navratras is considered the most auspicious . White Magic of Snow in Kashmir - Snow in winters attract tourists to Gulmarg, the highest lift-served ski resort in the world. Inspite of the stark beauty of the landscape, the people of Ladakh are a vibrant and colorful lot exhibiting a natural joie-de-vivre.